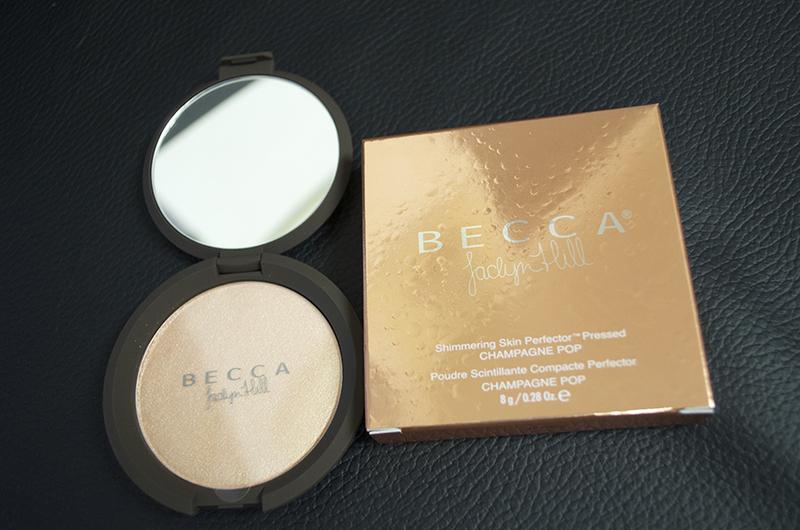 Ever since I heard about Jaclyn Hill's collaboration with Becca Cosmetics I was extremely excited. I remember I would always try and look up information on the release date and when I saw that they were being sold online on July 2 I knew I needed to order it. The only downside was that I had a bad experience with the Opal highlighter, I have fair skin so knowing that Opal didn't work on my skin tone, got me cautious about Champagne pop. The highlighter was being released in stores on July 16 so I planned to go give it a look once it released. But as I heard stories about it getting sold out before the release date and that the product was limited edition I went straight to Sephora to check if they had it out before the 16th. When I asked a worker about Champagne Pop they told me that it wasn't going to be released until the 16th but since I had asked they would let me have it. I swatched it on my skin as well as applying it to my cheekbones and was immediately in love with this highlighter. Let me tell you, I was impressed and usually I'm very picky about my highlighters. The packaging is beautiful especially the design of the little champagne behind the label. On the back of the box there is a little description from Jaclyn as well as her picture and her signature. 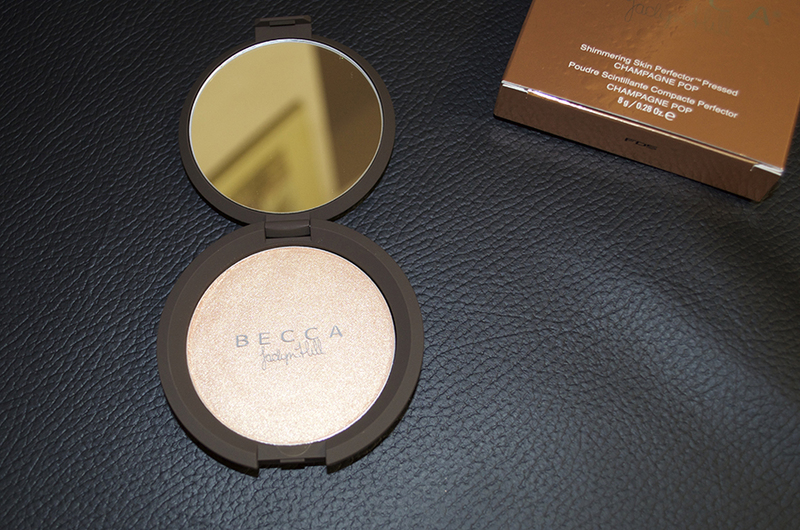 The actual packaging of the product is the same as the other Becca highlighters which I was actually disappointed about. Since it was a limited edition product I thought it would've been a gold packaging or something different than the others. I've been hearing all over instagram that Champagne Pop is a mixture of Moonstone & Opal but honestly I'm not so sure since I don't own Opal anymore. 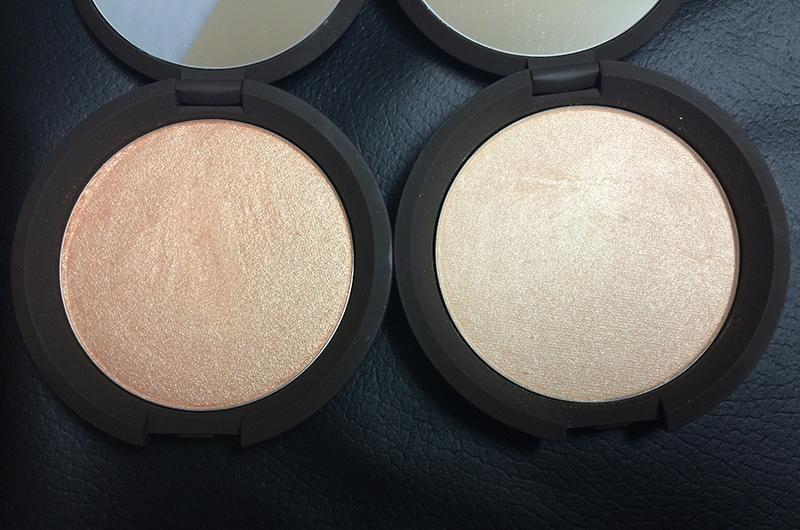 But on the left is Champagne Pop and the right is Moonstone. My skintone is about an NC 30 right now since it is summer and I got a little tan. 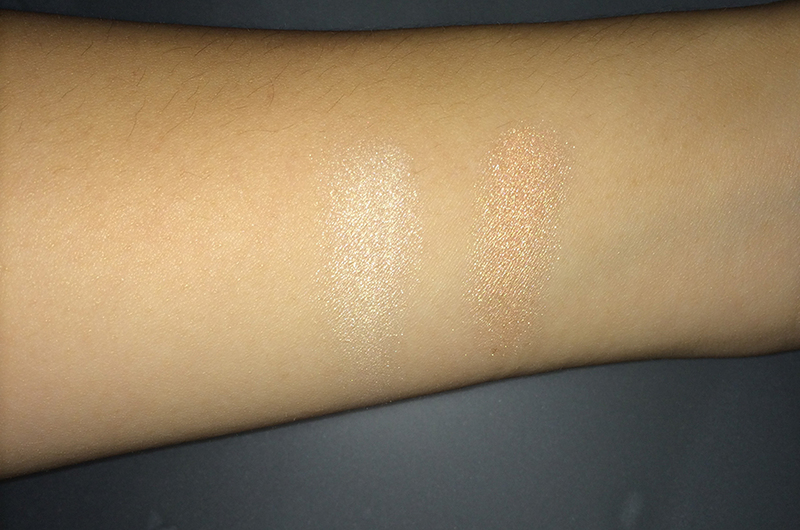 Here is a comparion of Champagne Pop and Moonstone. 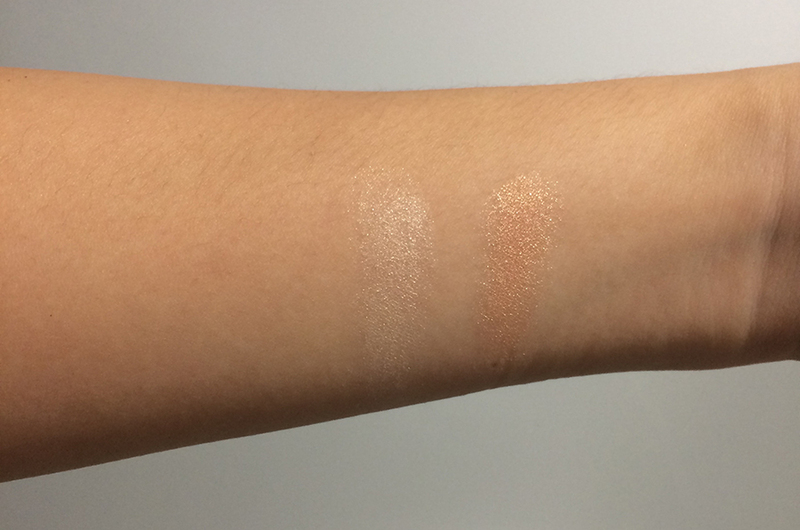 On the left it is a swatch of Moonstone and on the right it is a swatch of Champagne Pop. Overall I am very impressed with the product, although the color looks like a coppery gold it actually doesn't show up that way on the skin unless you build the product up or apply it with your fingers. 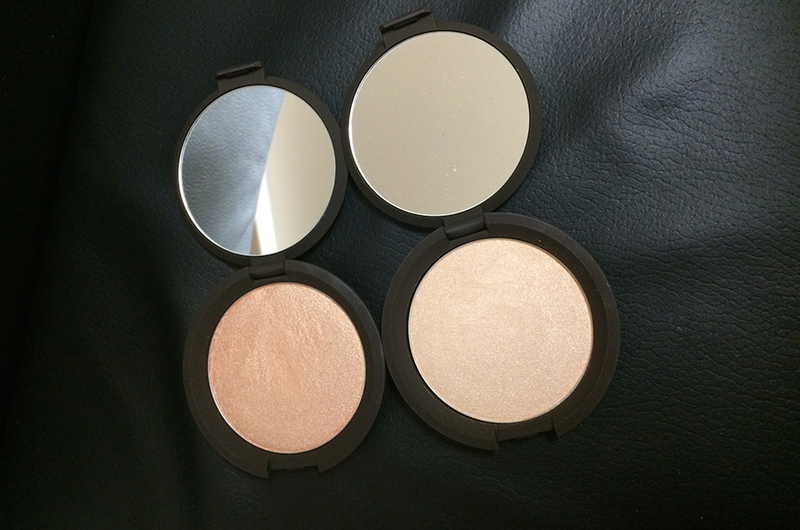 Like all of Becca's highlighters Champagne Pop has the same texture and pigment as the others. Since this is limited edition I might even buy a back up because I love it so much. It really gives you a summer glow and that is something we all want, even those with oily skin. Champagne Pop is sold exclusively at Sephora. Do you own this highlighter?